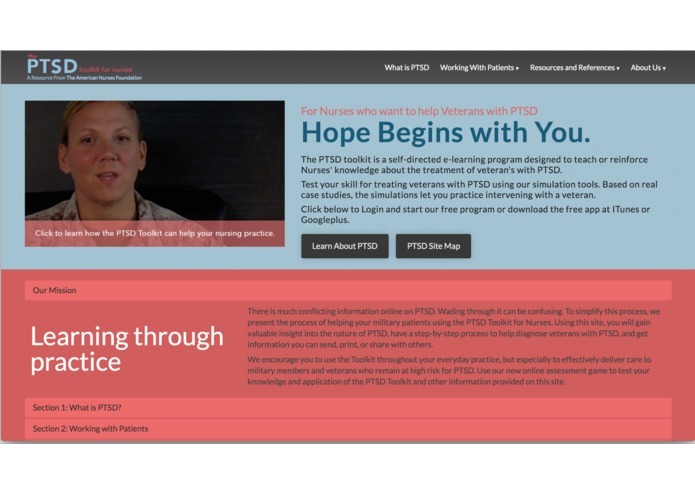 A site and html5 game-based simulator built to train nurses to diagnosis PTSD. This was a project designed and built for the University of Penn School of Nursing and the American Nurses Association. I meet with all clients involved, developed mockups, implemented the html and css needed and created the backend for the gaming simulation portion of the project through parse.